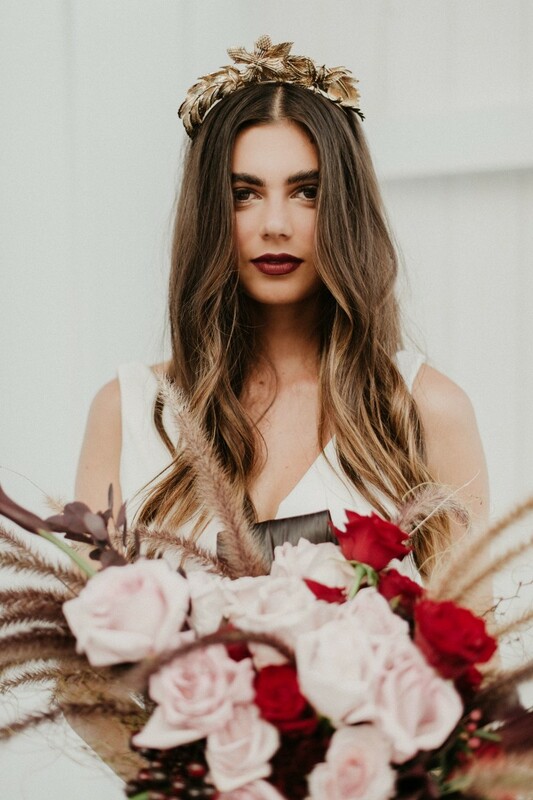 ➳ How was your Bridal Hairstyling & editorial business born? Throughout school I was always styling my friends hair. I was doing school formals before I started working as a hairdresser and did my first Wedding before I had finished my apprenticeship, styling was always my strength. After having our first son, I had a small cut and colour clientele working from home. It worked well but after our second boy came along it was becoming quite an effort to balance Weddings with client bookings. I had always loved creating Bridal styles and it made perfect sense to make it my specialty. Around that time a Wedding booking came in via a friend which happened to be the first Wedding at what is now a significant Wedding venue in the area. I developed a great relationship with them and a bunch of other great vendors and I have grown my business organically from there. ➳ What can you offer a Bride to-be for their Wedding day? 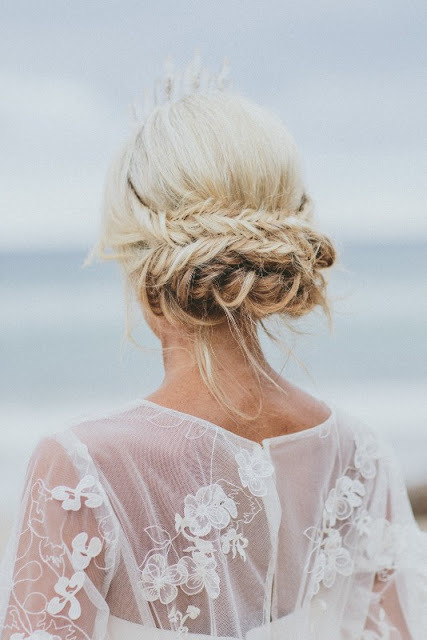 A beautiful hairstyle is just the start. I am passionate about making all my interactions with a Bride really positive. 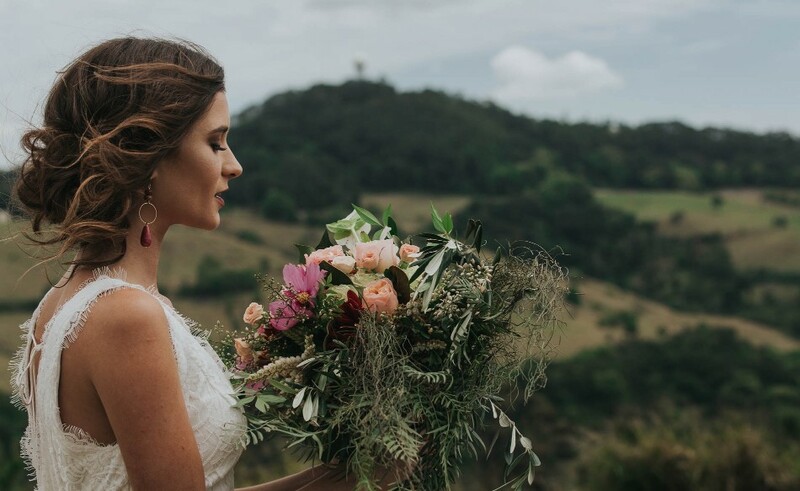 From emails, quotes and invoicing to conversations on the phone, trials and of course, the Wedding day - it should all be a memorable experience. Choosing a stylist is a real partnership and I love working with Brides to help them feel like the best version of themselves on their Wedding day. 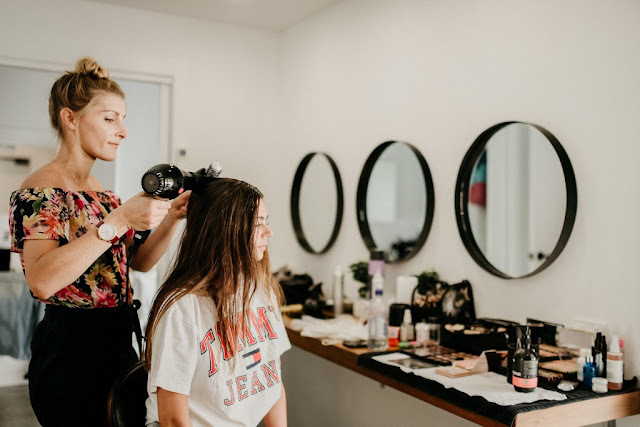 ➳ Did you always know that you wanted to be a hair stylist? There is a home video of me when I was really young, The 2000 Sydney olympics had just been announced and my uncle asked me what I wanted to do as a job when the olympics were on and I answered a hair stylist. I guess it has been in me from the start. ➳ Do you have any stories that you would like to share from your experiences? I had one crazy weekend with the weather. There were wild weather warnings for the weekend on Friday morning as I drove south to the wedding venue in Byron Bay. The rain continued throughout the day and as I drove home it became clear that the weather situation was quite serious. I was stranded in Kingscliff that Friday night as the waters from the worst flood in 60 years flowed out of the tweed river in between me and my booking at Summergrove estate on Saturday. I wasn’t the only one stranded, the mother of the bride gave the wedding dress to a truck driver to pass onto family members on the other side of the river while other family members booked a helicopter to get them there for the ceremony. I used my local knowledge early in the morning to get to a section of road that luckily had one lane open and managed to get to the venue just on time. That was a memorable weekend. ➳ What advice would you offer to a Bride that is just starting out on their search for the perfect Bridal stylist? As professional hair stylists we can all cover a lot of genres but everyone has their favourite style areas to work in. Look back through a stylists instagram account and identify the styles and genre that seems to come up a lot. Choose to partner with a stylist who you can see works in a style that you know you will love. ➳ Do you have a personal favourite hairstyle? 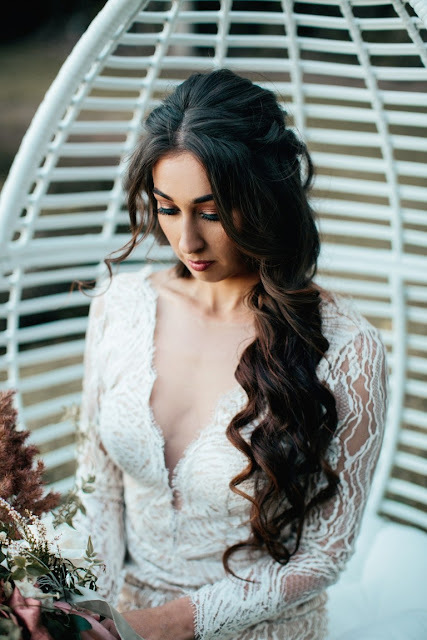 I love any style with an effortless, ethereal and romantic vibe. Also one which compliments and enhances the overall look is a real winner for me. ➳ Please tell us about the best part about what you do: It might seem strange but the best part for me is hanging around after I have finished the hair for final touch ups/veil fitting and help everyone in whatever way possible . After all the hours of getting ready It is a really special moment to see a bride walk out of her last room as an individual and into a life of partnership with the one she loves. I never get tired of that. 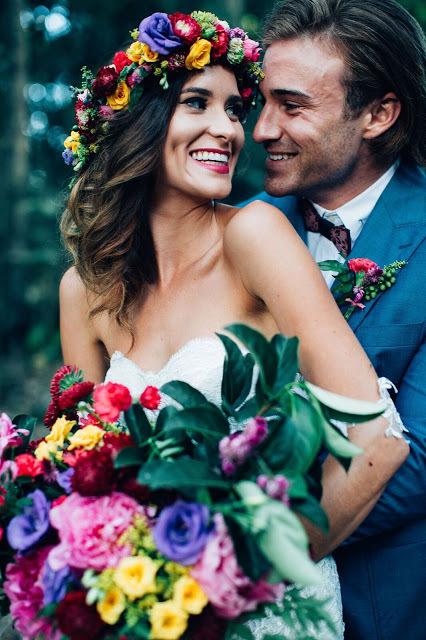 See more of Amy's work in this styled shoot at Summergrove Estate.